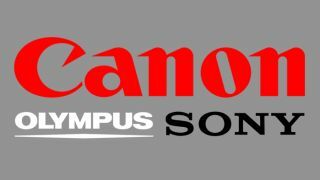 After being a distant third just a few years ago, Canon has spectacularly routed its rivals and now dominates the mirrorless camera market in Japan, thanks to the Canon EOS R.
BCN Award published the market share data for the region, based on point of sale information, with Canon finishing 2018 holding a 31.6% share – ousting the longtime market leader Olympus, at 23.5%, and Sony, at 22.7%. Olympus has traditionally had a stranglehold on the category, but gave up significant ground to both its rivals. The previous year saw Olympus hold a 27.7% stronghold, with Canon at 21.3% and Sony at 20.2%. It's a very different story from 2015, when Canon entered with just a 13.6% slice of the pie, compared to Olympus' 34.5% and Sony's 24.8%. It should come as no surprise that Canon also continued its usual dominance over the DSLR market. The company holds a 57.4% share, with Nikon at 39.3% and Pentax at 3.1%, maintaining the order that has existed for the past six years. Both Canon and Pentax's share was down slightly from the previous year, at 61.1% and 4.2% respectively, while Nikon gained from its previous 34.4%.